Courteney Cox's ex-husband is now a married man — again. 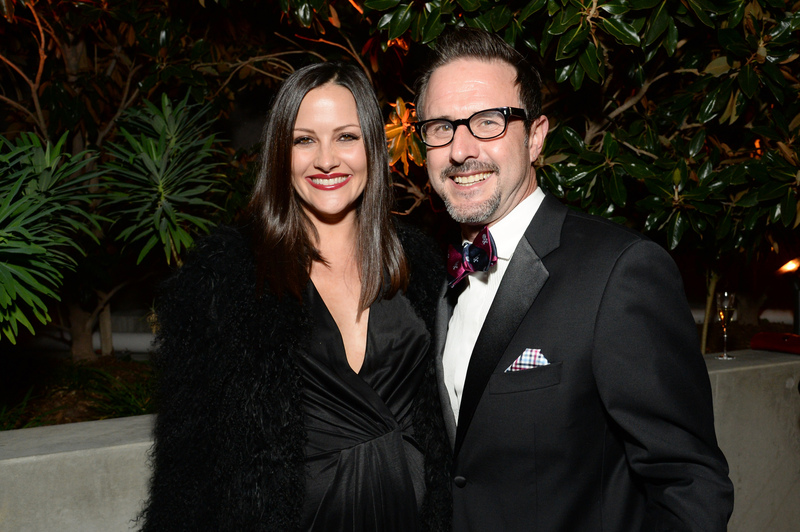 On Sunday, April 12, David Arquette married Christina McLarty in Los Angeles, the couple's rep confirmed to InStyle. They chose to tie the knot and celebrate their nuptials among family and friends, including their 11-month-old son, Charlie, Arquette's daughter, Coco, from his previous marriage with Cox, and their two basset hounds. In what appeared to be a small ceremony, the two said "I do" after being being together for four years and engaged for 10 months. Family appears to be very important to the two, which was showcased when Arquette proposed to McLarty, who is an entertainment reporter. While dining at a Malibu steakhouse, Arquette popped the question in front of Charlie and Coco. Actually, Arquette asked McLarty to marry him twice . The first time didn't work out so well. The couple revealed to Aspen Peak magazine that the initial proposal wasn't what they both anticipated. While at a restaurant in Malibu, Arquette took McLarty outside to ask her the big question, but McLarty was not thrilled with so many people watching their special moment. So, Arquette did it again and, obviously, it worked out much better than the first proposal. This is Arquette's second marriage. Previously, he was married to Cox for over a decade, but the two split in 2010. With that said, both seem to be finding their own happiness. Like Arquette, Cox will soon remarry and plans to wed Johnny McDaid in Ireland, where daughter Coco will even sing for her mother and stepfather's big day. Congrats to Arquette and McLarty on their happy news!